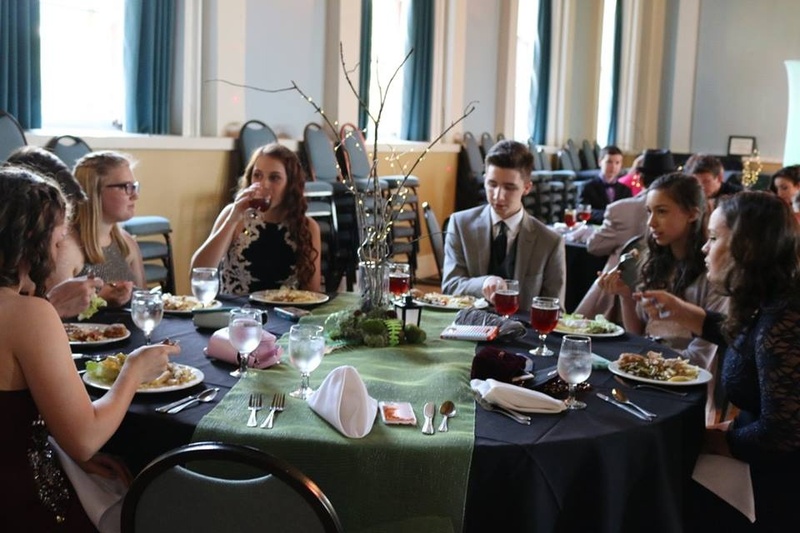 Teens at last year’s Southeast Regional Formal. This year’s event will be held at the Baird Chapel of Cumberland University in Lebanon, Tennessee, on Saturday, April 6, 2019. Activities include senior presentations at 6 p.m., a catered dinner starting at 6:30 p.m. and a dance from 7:30 p.m. to midnight. Registration: The deadline to register is March 22, 2019. The fee is $25 per person, which includes the catered dinner and dance with snacks and drinks. * We will not be able to accept payment at the door. All attendees must pay by the deadline. Be sure to mail your registration form with your check, which is available through the Facebook group under the files tab. Please mail your registration form and payment to Lizzy Creech, 3428 Pitchers Lane, Murfreesboro, TN 37188. Checks can be made out to UCG-Tennessee. For questions about registration, please email UCGsoutheastprom@gmail.com or call/text Lizzy Creech at 513-720-1341 or Lucretia Puckett at 615-429-0902. If you are interested in performing special music at services, please contact UCGsoutheastprom@gmail.com or Lizzy Creech at 513-720-1341 or Lucretia Puckett at 615-429-0902. Senior Bios: If you are a 2019 senior, please submit this year’s senior bio form along with your registration form. All of the seniors and their accomplishments will be recognized at the Formal. The senior bio form is made available through the Facebook group under the files tab. Photos: We will have opportunities for photos to be taken at the Formal free of charge! All photos will be uploaded to the UCG Southeast Regional Formal Facebook group following the event. The address for Baird Chapel at Cumberland University is 1 Cumberland Square, Lebanon, TN 37087.